Please click on question below to reveal the answer. 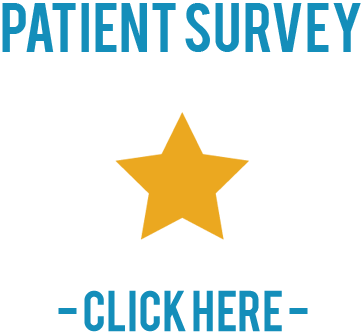 • Where does Dr. DeSimone see and evaluate patients? Patient consultations are performed at our Weston office. A thorough and complete evaluation will be performed consisting of a clinical assessment and radiographic evaluation. • What should I do if I need to contact Dr. DeSimone after-hours? There is always someone on call for questions and emergencies. They can be reached by calling the answering service through our main office number (954-389-5900). Scheduling questions should be addressed during normal business hours (Mon-Fri 8:00 am – 5:00 pm). • How do I know what my insurance covers (office visits, x-rays, braces, surgery, and anesthesia) and what are my co-pays? Every insurance plan is different. Our goal is to help you understand your benefits to the best of our ability. We will verify your coverage at the time of your appointment for any additional services provided (e.g. surgery). The best way to understand your benefits is to call your insurance company directly. • Do you see patients who do not have insurance? Yes, our goal is to provide care for all individuals, regardless of coverage, at a fair and equitable self-pay rate. • Does Dr. DeSimone perform surgery on patients that are from out of town? It would be our pleasure to treat you. We generally ask that patients stay in town for a few days after surgery or until the sutures are removed. You will be provided a PT (physical therapy) prescription, as you are advised to seek out a PT facility upon your return home. Dr. DeSimone or his Physician Assistants will be available to speak with any provider that you may see in follow-up regarding your procedure. We always encourage a follow-up visit with Dr. DeSimone if you are in the area. • Do you perform Platelet Rich Plasma (PRP) injections? Yes, PRP injections are a treatment option for certain depending on their underlying orthopedic condition. This is commonly performed in the office as a standard procedure. • Do you treat children and adults? We treat pediatric, adolescent and adult sports injuries with a focus on returning all individuals to their desired level of activity. • Do you treat all orthopedic injuries? Yes, with a focus is on Arthroscopic Anterior Cruciate Ligament (ACL) Reconstruction, Meniscal Repair and Cartilage Resurfacing Techniques, Arthroscopic Treatment of Shoulder Instability, as well as treatment of Shoulder Impingement Syndrome and Rotator Cuff Tears. • What information should I bring to my appointment? The most helpful information pertains to your medical history and the treatment you have received in the past. This includes a list of medications you are taking, any prior operative photos and reports, and any radiographic studies (recent x-ray and MRI films and reports). • Where do you perform surgery? Most surgical procedures are performed on an outpatient basis at the Weston Outpatient Surgical Center; allowing you to conveniently travel between our Main Office, Physical Therapy, and the Surgical Center. • How long will I be at the surgery center the day of surgery? Patients will typically arrive 1-2 hours prior to surgery, and will be in the recovery room for an additional 2 hours after surgery (add in the time of your specific procedure). Most patients are there for a total of approximately 4-6 hours. We will make sure you are comfortable prior to leaving the facility. If the patient is a minor, a parent/guardian needs to remain in the building during the entire process. If the patient is an adult, they can be dropped off and the facility will call the person/contact provided to come pick them up. • Can I eat or drink anything before surgery? You will need to remain NPO (nothing to eat or drink, including water) after midnight the night before your procedure. This is a safety consideration due to anesthesia. • Will I be under general anesthesia or local? • How long does surgery take? This depends on the exact procedure you are having but most surgeries take 1-2 hours. Please keep in mind that this does not include prep time, anesthesia induction and waking. • Will I be taking any medications before and after surgery? You will be given specific instructions regarding any medications you are already taking. Patients are to stop vitamins, aspirin and anti-inflammatory medications ten days prior to surgery. We advise for over the counter Zantac the night before surgery to help prevent nausea caused by the anesthesia. After surgery, you will be prescribed a medication for pain and for sleep. In most cases, antibiotics are provided through the IV during your procedure and are not required afterwards. • Does South Florida Institute of Sports Medicine provide physical therapy? Yes, physical therapy is available at all three locations (Weston, Pembroke Pines and Plantation). Our physical therapy staff is extremely competent to provide the highest quality of care. • When can I go back to work/school? • When can I drive after surgery? Patients are not allowed to drive themselves home from the surgery center, and should not drive the next day for the office visit. Once a patient is well rested/strong enough, and not taking narcotic pain medications during the day, then, driving may be considered. When the procedure is on the right lower extremity, the patient may require additional recovery time before driving. • When will I start physical therapy after surgery and how often should I go? While each patient’s care is individualized to his or her surgical needs, most patients begin therapy within 3-5 days post-op, and attend therapy 2-3 times per week. Depending on your procedure, therapy can continue anywhere from 6 weeks to 4 months. • How often/long should I ice for after surgery? Patients will ice 3-4 times a day for 20-30 minutes for the first week to ten days following surgery. After this time, patient should ice once or twice a day for at least a month or two. • When can I travel after surgery? We generally advise against travel, particularly air travel, for the first two weeks after surgery. Should an emergency arise, we would discuss with you safety techniques to avoid any potential complications.